Our Child Intensive Swimming Lessons run on the school holidays at Halloween, Easter and during the Summer holidays. 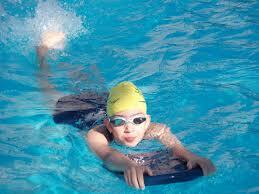 We cater for all levels from level 1 (armbands aged 4) – level 8 (Lane swimming). Lessons are ran over a 4/5 day period and they are 50mins. 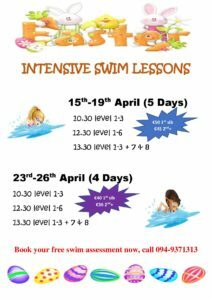 Our qualified swim instructors are on hand to help you develop your children and embrace this vital skill!